CBS finally shows the anticipated Supergirl teaser, giving people the glimpse of the story and who she really is from the world of DC Comics and away from the shadows of her cousin. Created by Greg Berlanti and written by Ali Adler, Supergirl takes on and embraces her own identity. Melissa Benoist plays the lead role as Kara Danvers or known as Kara Zor-El in her planet. Supergirl is the latest and most built up upcoming series this fall from the CBS. The 6 minute long teaser shows a peek of the life of Kara Danvers and how her legacy started 24 years after their planet, Krypton, was destroyed. In a voice over at the beginning, she said that many knows the story of her cousin, but the series will tell her own story. She was sent to the Earth and grew up wanting to be normal. Working awkwardly as a secretary trying to please her boss and have a normal life with the help of her sister, Kara tries to hide her abilities. The teaser shows James ‘Jimmy’ Olsen, and his blurry shot of the Man of Steel flying in the skies of metropolis, giving hint to the viewers that Superman’s legacy had already started in the series’ timeframe. 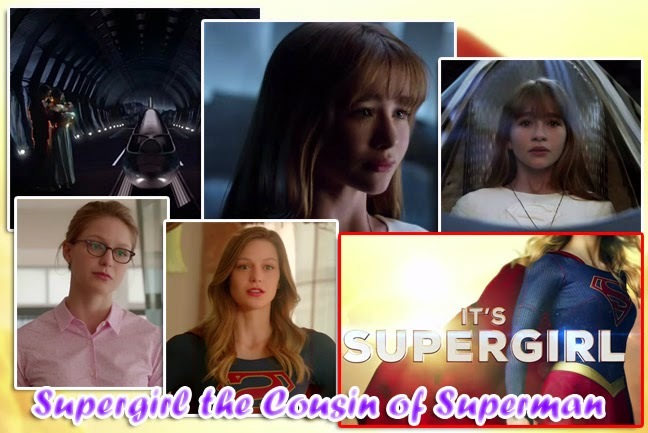 Kara embraced her abilities and destiny when she had to save the crashing plane her sister was in. With the creation of her own costume, she started to fight crimes in her city, but villains also started to visit earth. The teaser had shown much to give the viewers a taste of what is about to come to them this coming fall.